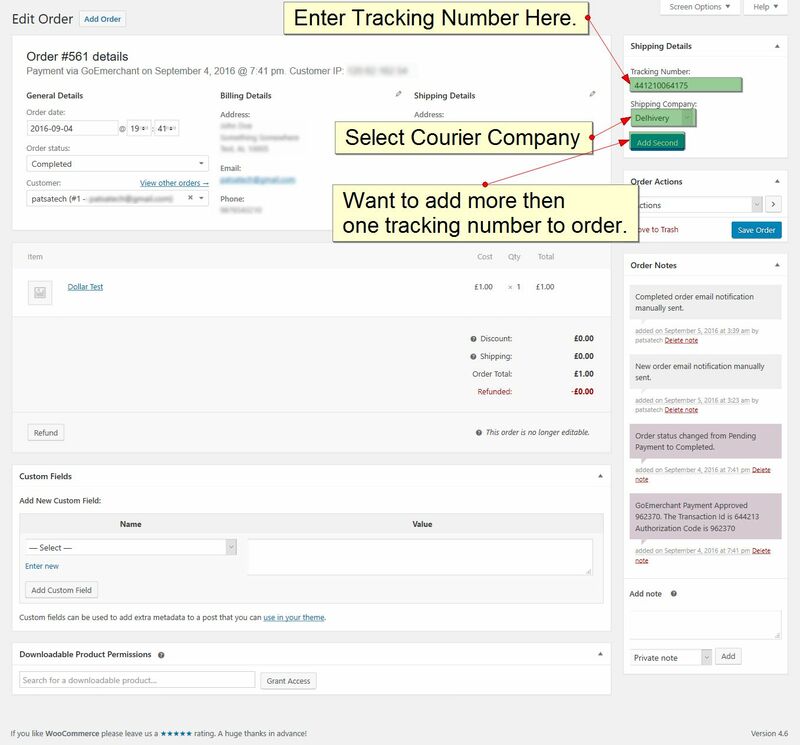 Adds courier details to all emails sent after adding the tracking numbers. More then 140 Couriers supported. 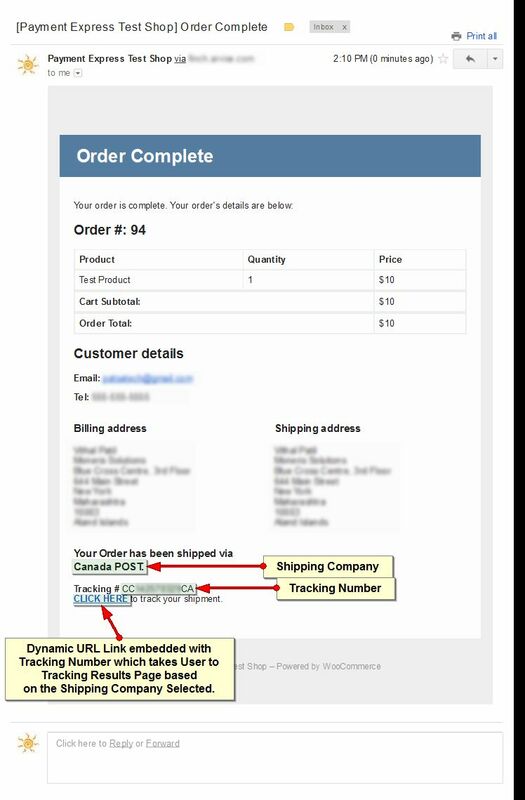 Most couriers support dynamic url so your customer doesn’t have to enter tracking numbers and are taken directly to tracking results page on courier site. 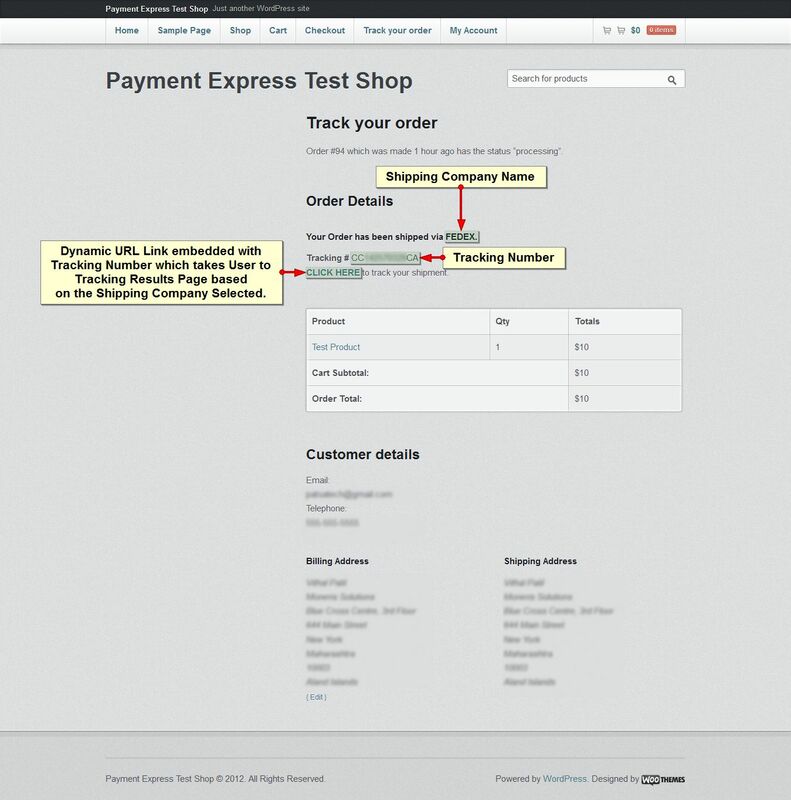 - Updated the plugin to resolve some issues and support the latest version of WooCommerce and Wordpress. - Cleaned the code and added purchase code validation. - Removed the unwanted code. 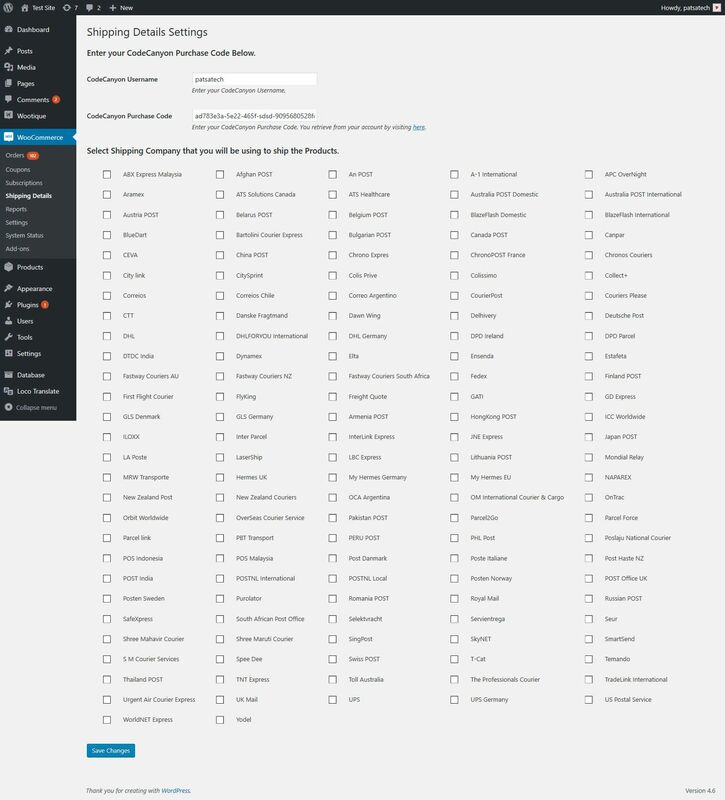 - Have moved the companies array to API for faster updating of Urls and supporting the companies. - Added Support for more Shipping Companies. - Removed the unwanted the duplicate code. - Integrated 70 More Shipping Companies from around the World.